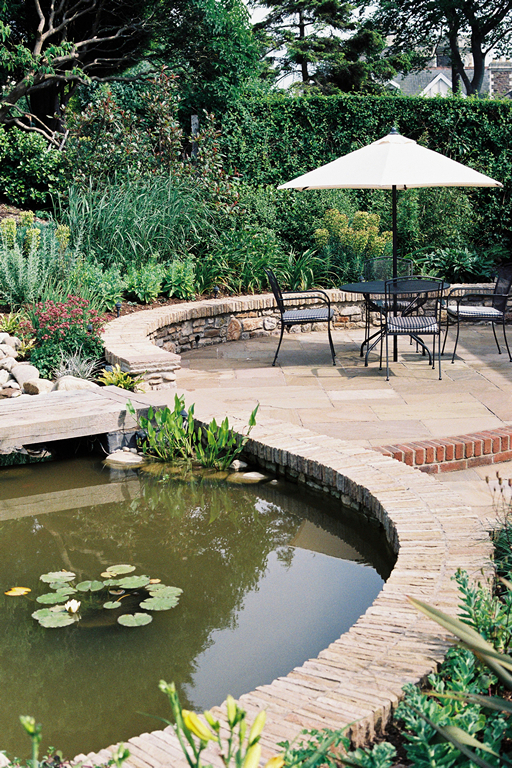 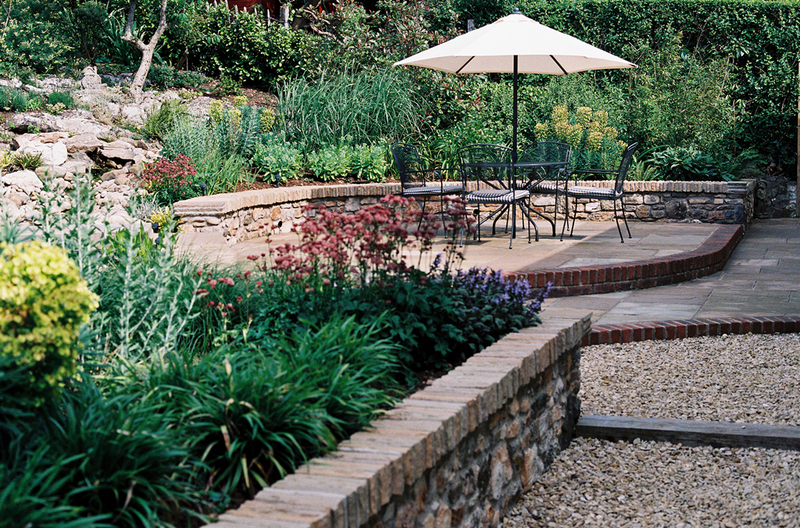 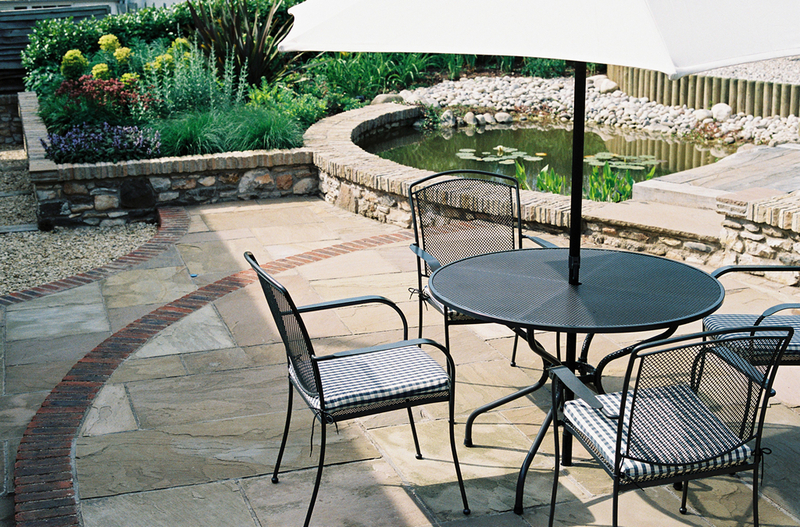 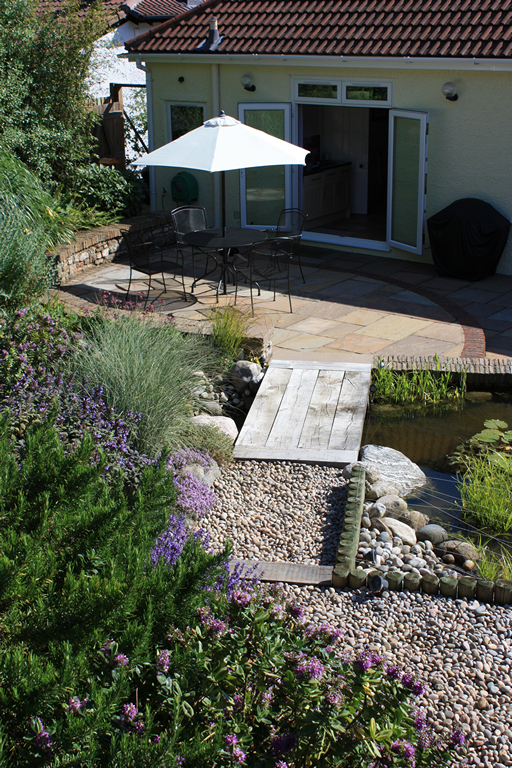 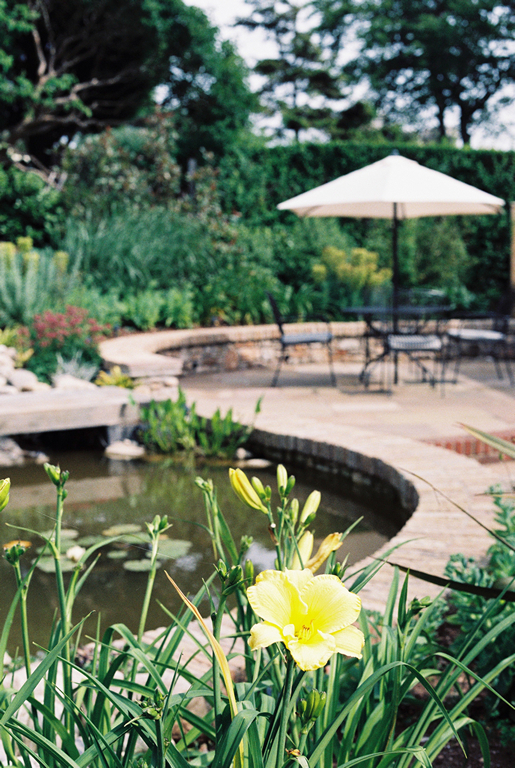 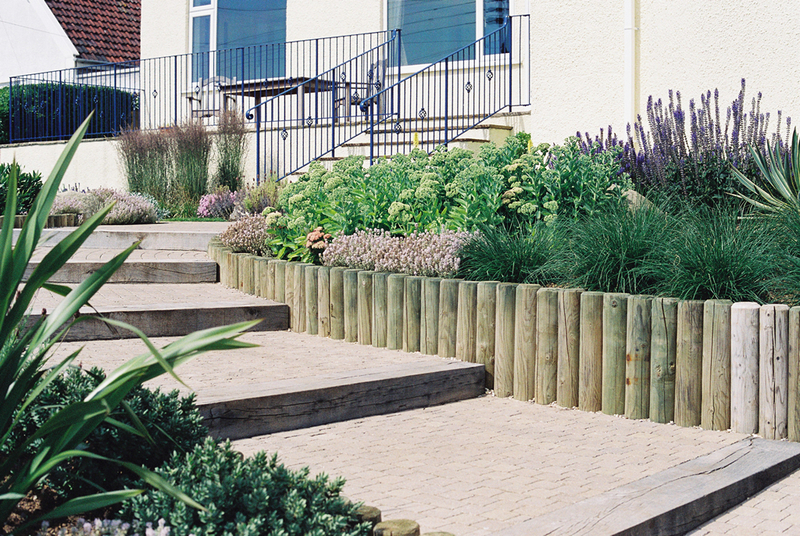 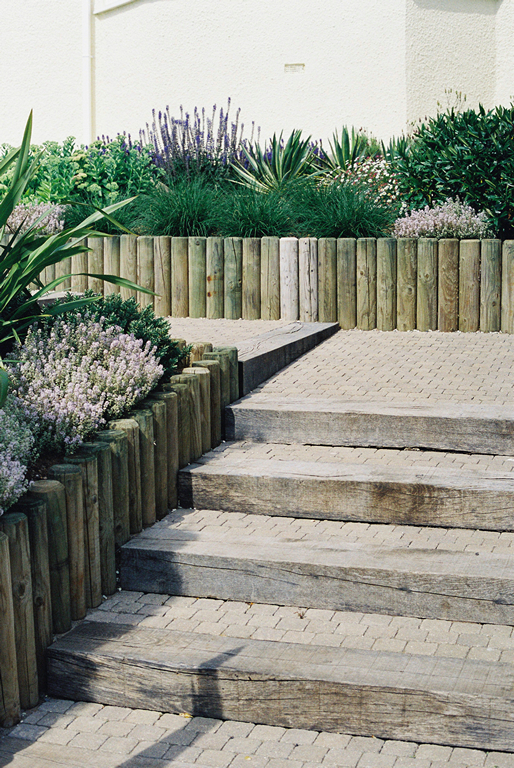 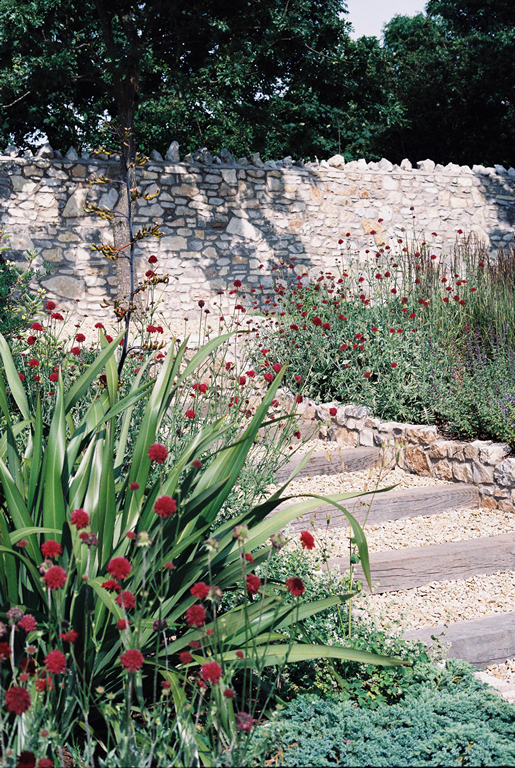 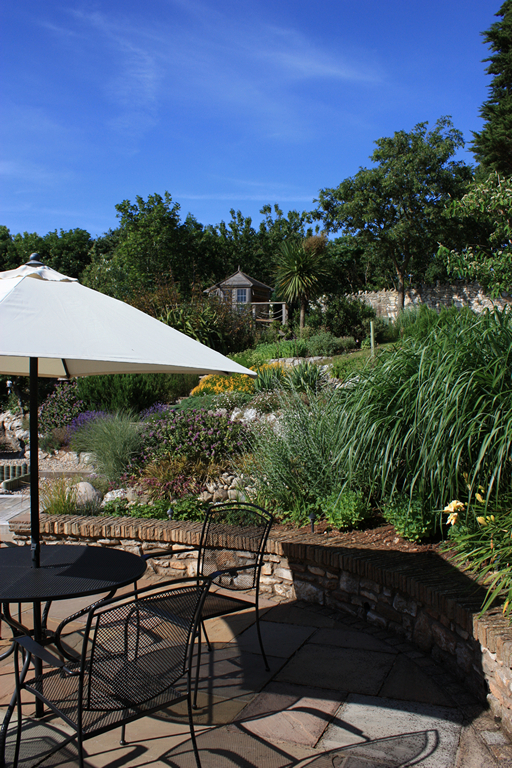 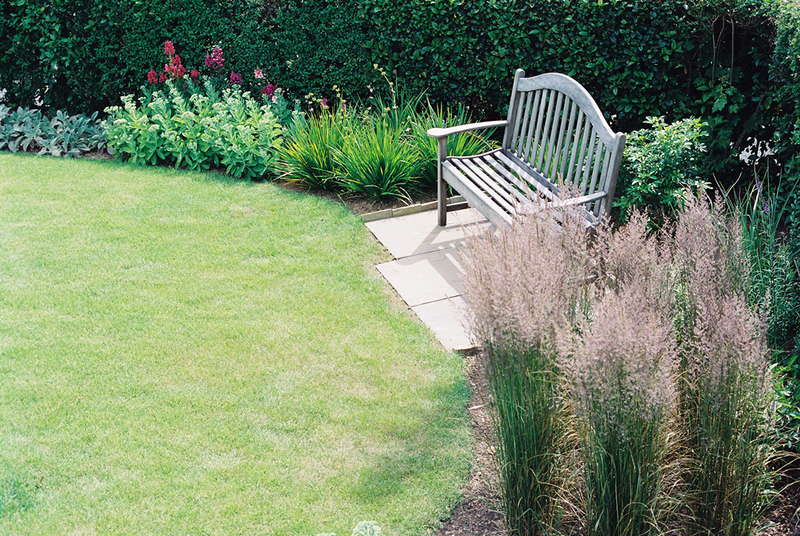 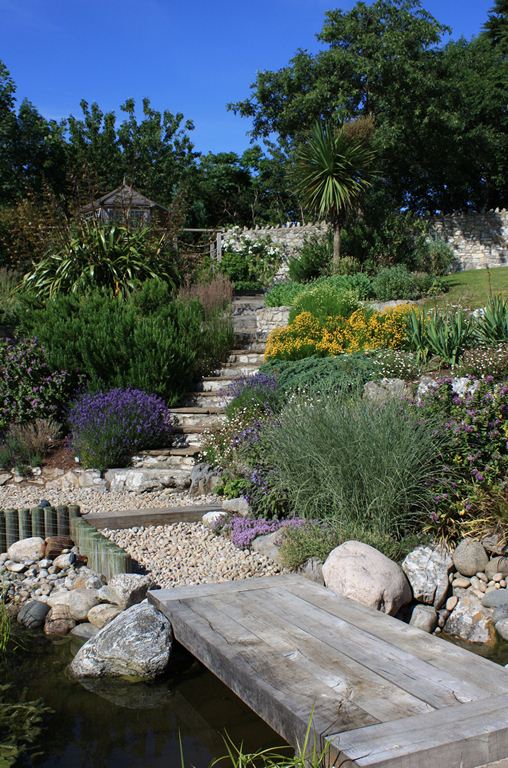 A steeply sloping garden (30x30m) situated on the coast in Clevedon with a relaxed and informal layout. 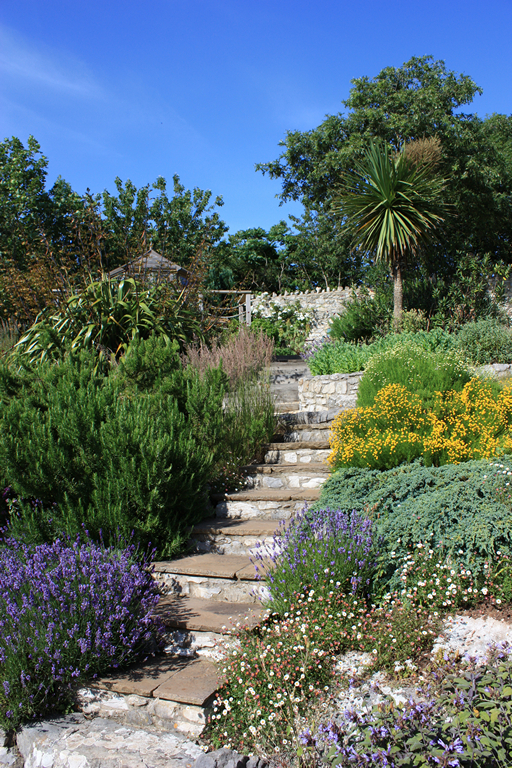 Front and back gardens feature a number of terraced seating areas linked by inter-connecting steps, for use at different times of the day. 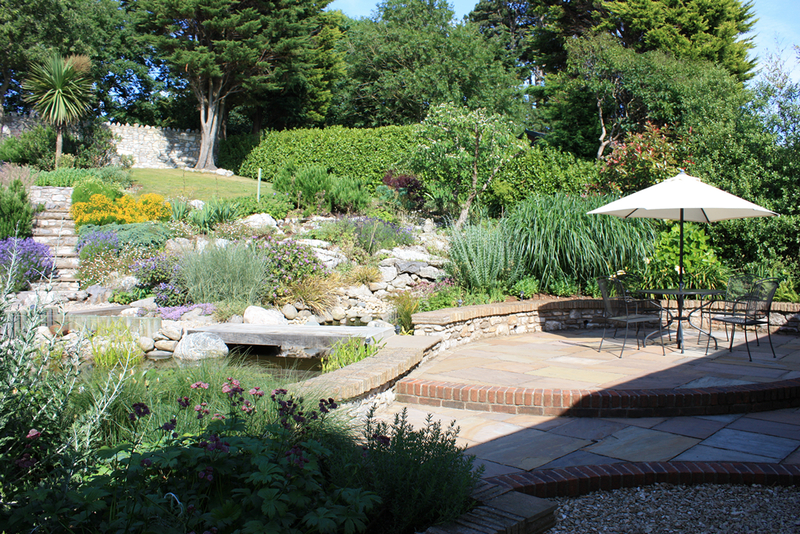 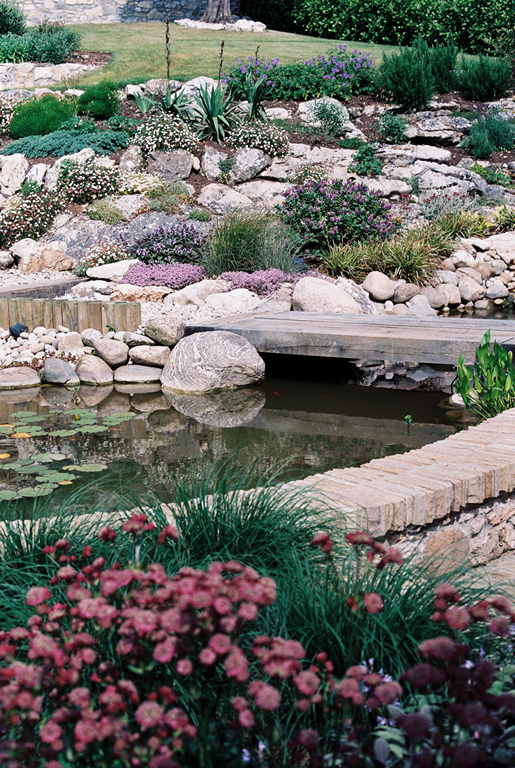 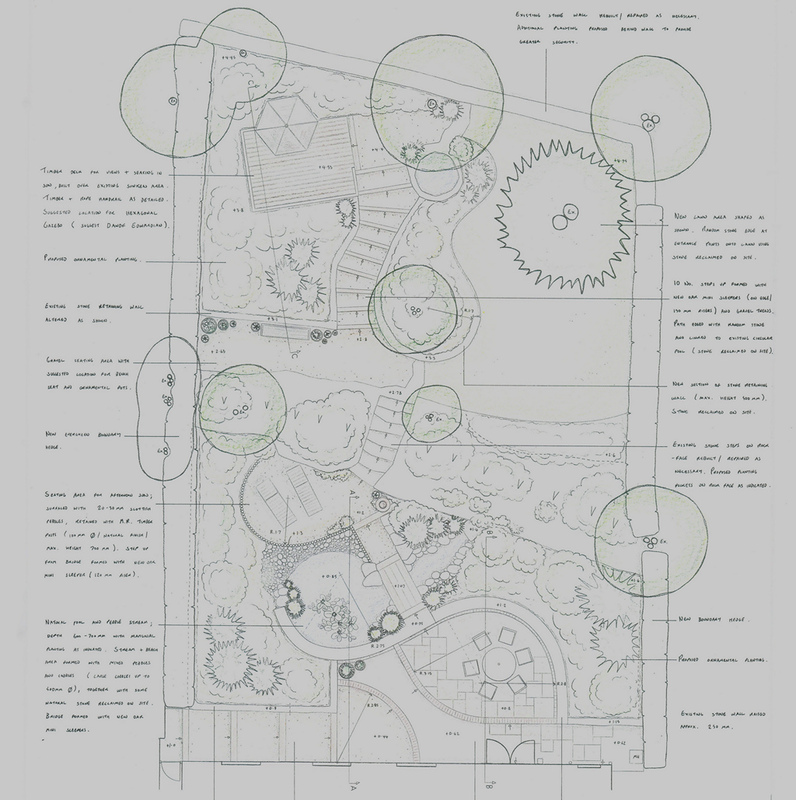 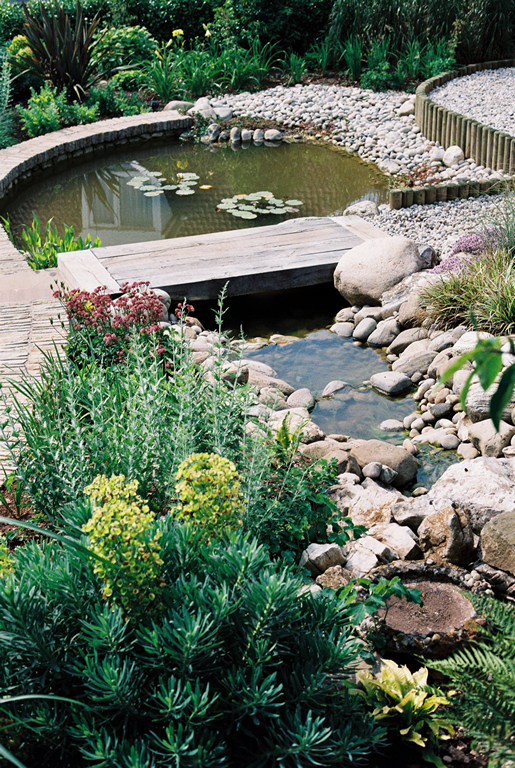 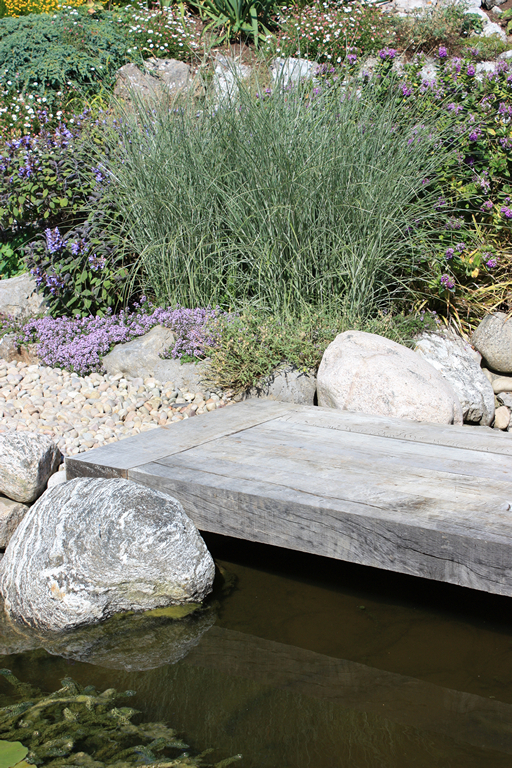 The design also includes a large pond and naturalistic stream, a small area of lawn and a deck area with gazebo situated at the top of the site for sea views.